Cape Town foodies will be interested to hear the news that the chef and owner of Bistrot Bizerca, Laurent Deslandes, will be joining the team at HQ, another Mother City favourite, as group executive chef. 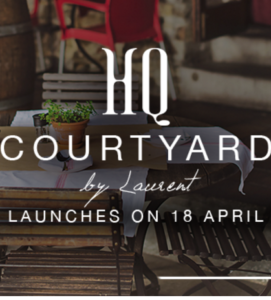 The combination of these two celebrated brands means patrons at HQ can look forward to ‘HQ Courtyard by Laurent’ serving a Bizerca-influenced tapas and “plat du jour” menu for lunch from Monday to Thursday, and until 8pm on Fridays. 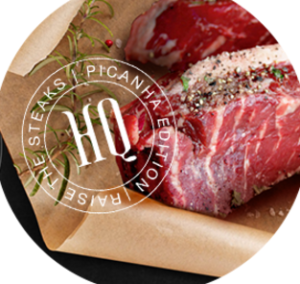 HQ said in a statement on Thursday that Deslandes’ “passion for cuisine” had already been experienced on HQ’s tapas menu and at signature monthly events such as Fine Wining and Raise the Steaks. Thursday’s statement signalled the start of a deeper association after Bizerca stopped trading at the end of March. “Look out for some Bizerca classics, a little bit of new fun, and expect the casual style atmosphere that HQ does best,” said Deslandes. 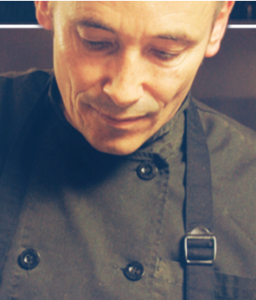 In addition to “refining the food offering at HQ”, the statement said, the French chef who moved to South Africa after a successful career sweating over a hot stove in Australia would also be cooking up another new restaurant concept.